This intriguing exhibition provides a behind-the-scenes look at how costume design is used to create riveting drama and to re-create history. 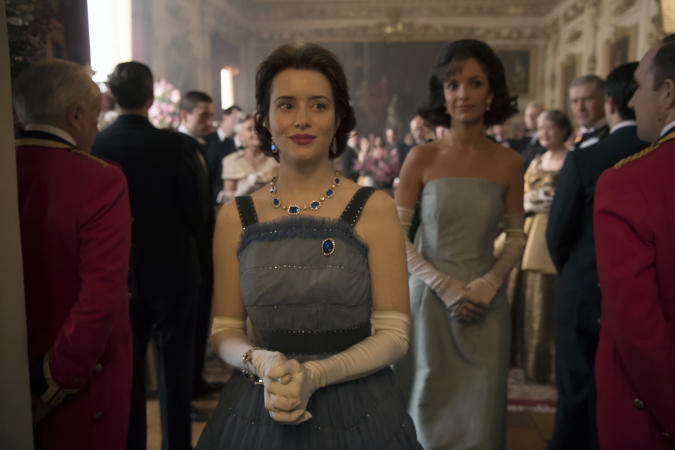 Explore the elegance and style of a bygone era by examining the extraordinary contributions of Emmy®- and BAFTA-winning designers Michele Clapton and Jane Petrie to seasons 1 and 2 of The Crown. Discover how costumes play a major role in storytelling and character development in this fictional portrayal of the British royal family that is sweeping the globe! Costuming THE CROWN opens March 30, 2019 at Winterthur Museum. Tickets on sale beginning January 1, 2019. Photos: Copyright Alex Bailey/Netflix, Inc.